Today is the last day of NaBloPoMo...and I did it! Then suddenly it was Thanksgiving and I was posting about it. It's hard to believe how quickly the month has gone by! See you in December for my Chanukah Countdown - exciting posts about Chanukah and a number of great giveaways....join me. from my delicious - where have you been? Yael, picking up her red plastic Spiderman phone: Hello? Ima: Who's on the phone, Yael? Ima: who are you talking to? ....you might wonder about all the other things going wrong. Earlier this week, I posted my Thanksgiving Family Ritual, best for tables with young children present. And over here, I posted an Ecumenical Version. Today I present a more "grown-up" edition. Offering songs and readings from our nation's founding documents, I think it's a nice simple way to bring religious ritual to the table, so to speak. I've already done the 7 Things meme which is making its way around again....and I've been tagged by Leora and Ilana-Davita. Gosh, thanks guys! 2. I attended rabbinical school at Hebrew Union College in Cincinnati, Ohio. 3. Every summer, I go to camp. I'm such a lucky rabbi. 4. I'm starting to wonder if I need another hobby. 5. I really like to cook. If you haven't been tagged (it seems that so many people have already gotten there first! ), feel free to consider yourself tagged and play along. Hopefully tomorrow I'll post my Grown-up Thanksgiving Seder. Just in time! Okay, so as you may know (hi to my 6 readers), I'm a vegetarian. But that's not even what this is about. Thanksgiving's biggest symbol is the turkey. ...ends up on the dinner plate? I'm quite sure that no one eats the other symbols of holidays. We don't eat the lulav and etrog. And I know that no one eats bunny on Easter (even though that one's not my holiday, I'm pretty sure about that.) We don't eat Uncle Sam on the 4th of July. We don't even really eat pumpkins so much on Halloween, we're much more about the candy. So doesn't it seem a bit odd that we EAT the primary cute holiday symbol? This is a repost from last year's holiday shopping carnival. Expect more ideas and suggestions like this throughout the "holiday season" as well as my upcoming Chanukah Countdown Party. I'd love to hear your ideas too! …computers, donate in his honor to Computers for Communities, which refurbishes old computers and makes them available to needy families and communities. 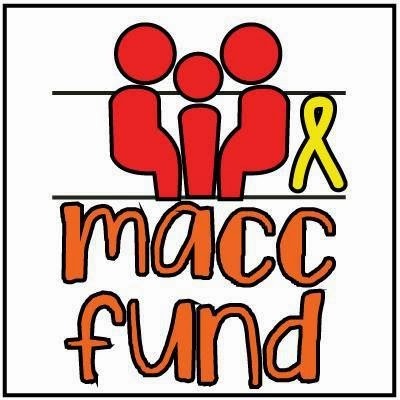 …music, donate in his honor to SongWriting Works, who promote healing through song. My little girl loves her dad. See what warms other people's hearts this Monday. Welcome to Haveil Havalim, the Jewish and Israeli Blog Carnival. I'm excited to be your hostess today! This week, of course, begins the American Thanksgiving holiday, and in that spirit, here are some picks from my kids (as usual) as they put Tzedakah in the pushke. Shtetl Fabulous presents Borscht or Bloomingdales.If Christianity has the virgin and the whore, what do we have in Judaism? According to Shtetl Fabulous we do. It's Almost Supernatural offers Community giant passes away. Drawing Tel Aviv presents draw a rope and asks, is it art or nature? Jacob Da Jew presents Updated: Cool and Uncool Frum Gear. Greg at Baltimore Jewish presents Dr. Goebbels in the News? Frum Satire presents Judging people based on the way they wear their yamrulkes. Prepare to giggle. Esser Agaroth presents A Hanukkah Conundrum and $50,000? ...To Stay In Babylonia. A Time of the Signs presents Another funny Google pop-up. Shiloh Musings presents Thinking About Abe Lincoln's Gettsyburg Address. For Zion's Sake shares Reading the Instruction Manual. Leora@Here in HP wonders Is this How Sarah Felt? Shorty's Adventure presents Being a "good" Jewish Woman. Conversations in Klal considers The Institutionalization of Personal Choice. A Simple Jew presents Problems Vs. Issues - The Use Of Language. 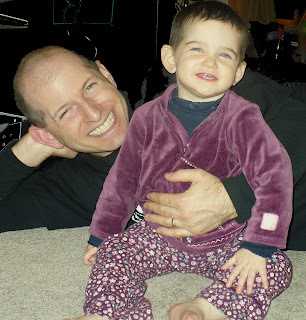 Rechovot: A Place to Expand brings us Completing the Daf Yomi cycle - what it means to me. Beneath the Wings shares The True Believer- Placing Limits on Ourselves. BARBARA'S TCHATZKAHS has Obama: Hypnotist, NLP Practioner, Mind Control Guru and also Abused Women's Rights: Palestinian Arab vs. Israeli Arab. Oh, and check out celebrating Thanksgiving a Jewish way with me, the Ima on and off the Bima. My Right Word presents No, The Media Will "Tell", Peres Reformed? Or Flip-flopping?, and Rahm Emanuel Loses Security Clearance. Cosmic X in Jerusalem shares Post Election Fallout, Rabbi Yisrael Rosen Wins Libel Suit Against "Yated Ne'eman", and Who's the Jew? Jack@Random Thoughts wonders Is It Blogworthy??? What do you think? Daled Amos presents Why Aren't JBloggers Weighing In On A Jonathan Pollard Pardon? And he considers more on the Pollard question here: Eric Holder On Jonathan Pollard In 2001. Occidental Israeli thinks about Fewer Political Parties in Israel, Law and Order in Israel and IDF's Real Occupation. Elms in the Yard shares Further Adventures in Citizen Activism. Religion and State in Israel - November 17, 2008 (Section 2). Jerusalemite blog offers us The top five Jerusalem foods you've never eaten (yum) and considers the Slow train coming. YID With LID thinks Israel Has Nine Weeks to STOP NUCLEAR IRAN. Soccer Dad presents Who are going to believe the ap or your own eyes? Writes Like She Talks muses on Torture and blackouts and Kassams, oh my. Bangladeshi Hindu introduces us to An India-Israel-United States Alliance: The Last Great Hope for Humanity. Ilana-Davita shares with us Simon Veil, a French politician. WestBankMama offers her take on the Israeli elections. Robin tells us all about her Neighborhood Greengrocer. Benji Lovitt presents *Beelti Precedentzia (Unprecedented)....And There's a 30% Chance That's Actually How You Say It and he thinks Osem should fire its marketing staff. He's always worth a visit for a great laugh! Elms in the Yard remembers Miriam Makeba, RIP. Ki Yachol Nuchal! presents Sunday Sojourn #1. Nad-ned Nad-ned shows us Gender Imbalance: The Examples Are on the Wall , which is a little bit Israel and a little bit Jewish education. What do you think? me-ander has Aching and To Fly or Not To Fly? Beneath the Wings offers "OYY! The Medication!!!!!" Rechovot: A Place to Expand explains It's what I do that defines me. Have you seen this? Pretty funny. And check out the new G-dCast, which gives weekly cartoon videos of Parashat haShavua. If you're not reading JCarrot, Hazon's great food and food issue blog, you should be. Here's a yummy-looking vegetarian alternative to the cute little turkey on Thursday. And of course, don't forget to check out this month's Kosher Cooking Carnival over at Baila's place. P.S. In the Refuah Shleimah category, make sure you wish a speedy recovery to FrumeSarah, recovering from spinal meningitis, and to Miriam, who is having a stomach-bug-attack while travelling in Israel. We now return to our regularly scheduled programming...come back regularly to see what's cooking here! 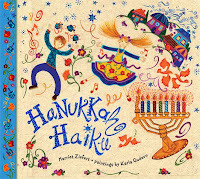 Stay tuned for my now-annual Chanukah Countdown Party with giveaways and fun! There's a new group on Facebook for Jewish Twitter-ers...are you one? Join us! (And feel free to follow me, too!) And if you're not in the HH Facebook group, come and join that too!